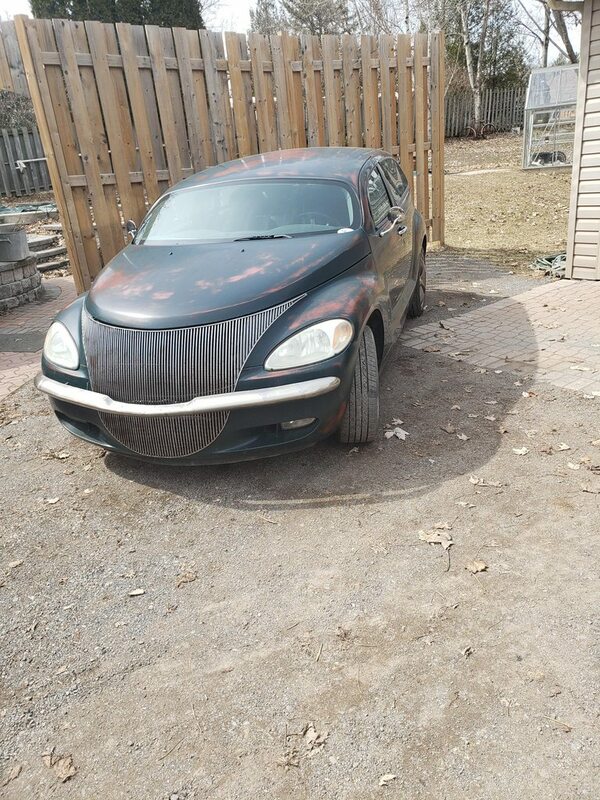 I've been looking for a pt cruiser project car, I've had a really hard time finding one. The seller purchased it at auction without a gauge cluster and with no keys, All he wanted it was for the body panels and got it "cheap" he told me he has owned over 100 PT Cruisers and after having it sit around for awhile he threw in a gauge cluster and a steering colom with keys in, and some extra black panels and it started right up. The old steering colom is in the trunk. The airbag light is also on for something about the first row sensor, the top and windows don't work, but the windows roll down a fraction when the door handle is pressed, I was able to start the car. Anyone know the work involved in getting the top fixed? Id also probably run a carfax before buying to get an approx millage, as the dash is incorrect. 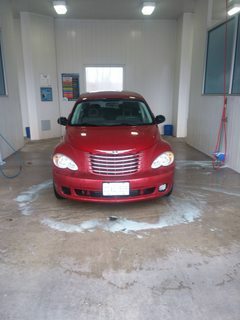 this is his PT Cruiser, have a feeling you guys may have seen it before? wwpptc, rockandroller and Handy_Cruiser like this. Last edited by ajhockey3; 07 Apr 2019 at 07:17 pm. anyone have the link to get the build sheet? Lost it. Here's a direct link. This one's for a Hellcat. Just replace the VIN number in the URL with your VIN number. I don't think this system works on the oldest PT's. But it will work on many. Last edited by ajhockey3; 10 Apr 2019 at 06:22 pm. 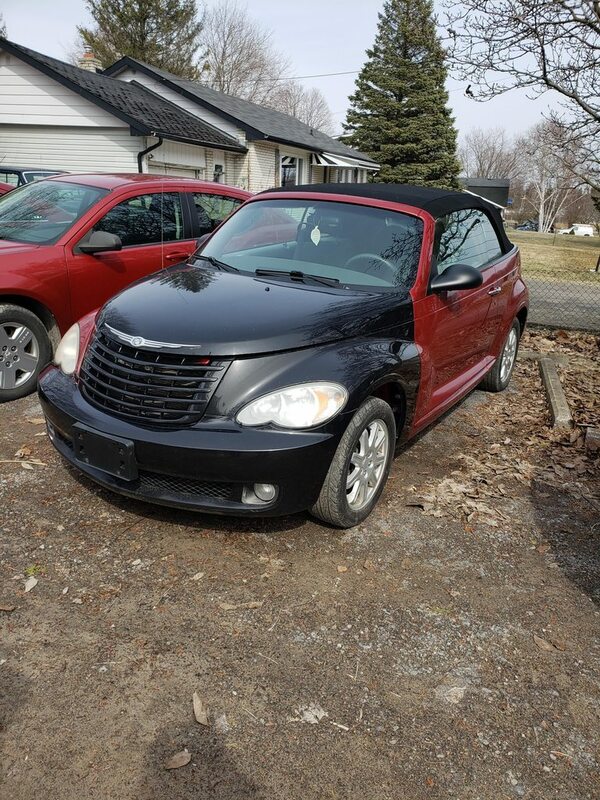 The seller is a PT guy and you are looking for a "project" so I assume the price is right, but this is the kind of car I would tell people in my family to avoid like the plague. I have read too many electrical horror stories to deal with a car with a different cluster, top problems and no keys. It will be fun watching you work through everything. Good luck! I've done the cluster swap in my 2007 Vert with no issues. For the key, it's going to be more fun. On a 2nd Gen convertible PT, I'd likely spring for a new key from a lock smith. That solves it and will likely be cheaper than trying to find a matching key, SKIM module and PCM specifically from a convertible PT of the same year. Get a locksmith? It is that easy? Just don't get the same one as @oceana! I agree. You could save "some" money and still continue to mod your red machine. I can think of at least a dozen or so mods that you haven't done yet to make it your own special PT.